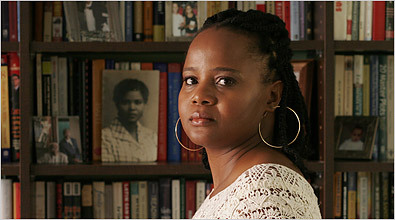 Born in Haiti in 1969, Danticat, like the protagonist of her novel Breath, Eyes, Memory, at the age of twelve left her birthplace for New York to reunite with her parents. She earned a degree in French Literature from Barnard College, where she won the 1995 Woman of Achievement Award, and later an MFA from Brown University. More recently, she has received an ongoing grant from the Lila Wallace-Reader’s Digest Foundation. Danticat’s second novel, The Farming of Bones, based upon the 1937 massacre of Haitians at the border of the Dominican Republic, was published in September 1998 by Soho Press.